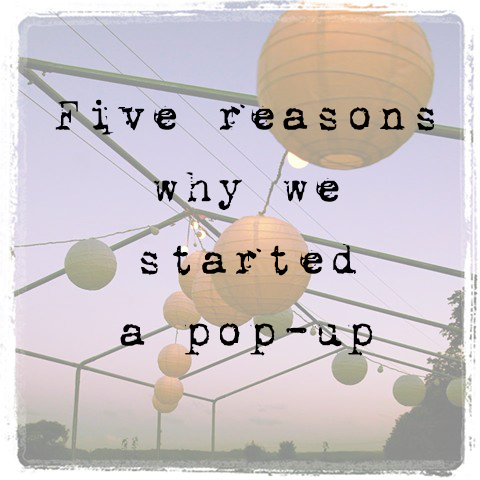 Ed and I didn’t always know we were going to go down the pop-up route, in fact originally we had our hearts set on a little premises by the sea, so why did we go mobile? Once Ed and I had decided to go back into the food industry we got really excited, that was until I started to think about the reality of owning a permanent premises. I started getting nervous, anxious and a little bit sweaty at the thought of it. Ed and I both like travelling, we like being on the road and going to new places, a permanent premises would have jarred with our personalities and we probably would have ended up resenting it eventually. I also think that to make a business work it does have to be an extension of your personality and something that you are really passionate about. Ed and I are both passionate about food, travelling and meeting new people and what better way to combine all of these things. 2. What is going to happen to the high street? As a teen at college I worked in Woolworths and I never imagined that it would ever disappear from our high street, but in the last few years we have lost some of the big names on the high street. People are looking online, going back to sourcing products from artisans and buying their vegetables and meat from farmers markets. This is another reason why getting a fixed premises in a town centre worried me, I started asking myself is it a safe bet? Would we be able to future proof ourselves? The beauty of a pop-up is if we go to an event or a village and things are slow then we pack up our trailer and we move onto the next place. You might lose a day wages and the cost of a pitch but this is a lot less than if your fixed premises doesn’t work out. Which brings me onto the important subject of money. Ultimately we couldn’t afford the set up costs of a permanent premises but we didn’t have the patience to wait until we could save enough. We were too hungry to work for ourselves and get out of the office. We had both reached the grand old mile stone of 30 and we didn’t want to look back at our lives at the age of 50 and say: “I wish I had…… if only I’d had the money.” So we had to come up with a solution. With our ‘Village Restaurant’ events we thought that it would be exciting to take our food to people in their own communities. Ed and I are both from big families and there is something about sitting down and eating together that brings people together. It gives you that time to communicate with one another, to take time out of your busy schedule to sit and chat about your day. We want people to use our events to get together with people that they might not have seen in a while and catch up, enjoy some fabulous home cooked favourites and be merry.The two events that we did before Christmas had this vibe and it was wonderful to watch. There have been a couple of people that have turned their noses up when I have told them that we pop-up in village halls. They think cold drafty places and Brownie groups, but what I see it potential. To me a village hall is a blank canvas right in the heart of a community, the prime restaurant location. Ed and I are both quite artistic people and we knew in our minds that we could make almost anywhere look like a rustic, bistro style restaurant, all we needed was a Pinterest board and the right equipment. We carefully sourced our tables, chairs, table decorations, lights and music and hey presto one village hall, becomes a stylish restaurant. There is something in my personality that likes to back the under dog, to challenge people to look beyond what they see on the surface and suspend reality for a little while, also why should it be only cities like London and Oxford that get to have all the fun? 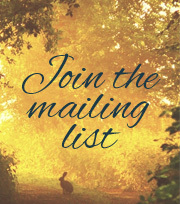 If you would like to suspend reality with us for a little while and come along to one of our ‘Village Restaurant’ events, then visit the Bookings page. Very interesting reading about your thought processes – you sound like you have your heads screwed on and I wish you every success. I will try to get along to one of your evenings at Rosie’s. It’s a lovely place in the daytime where I often eat lunch and catch up on a few emails, not to mention down a gallon of Lapsang Souchong tea. The atmosphere is lovely and I am sure it will make a perfect venue for people with such an honest approach to what they are doing as you. At Choose Abingdon Partnership we have been trying to look into the barriers to people taking up empty shops and your thoughts on staying open to the winds of change will be very interesting to our group. Maybe you are right to hang on and avoid any commitment at least until the government takes the long awaited action on business rates which is the structural change the High Street really needs. Anyway if you can tap into the lovely vibe in Abingdon-on-Thames you will have a wonderful summer and Wednesday evenings will be very special; stroll by the river after dinner?